We think the North Carolina license plate says it all: A Better Place to Be. 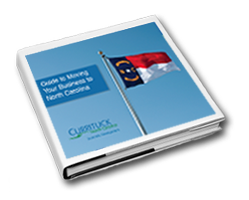 You may know about North Carolina's world class beaches on the Outer Banks, its historic landmarks, warm climate, and great southern food and culture. You may even know its reputation for being pro-business. by completing the form today!